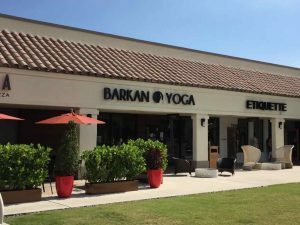 The Barkan Method of Hot Yoga located next door to Whole Foods: Ft. Lauderdale Location Check out new 360 camera! Jimmy Barkan, owner; is a master yoga teacher certified by Ghosh’s College of India, Calcutta, India in 1981. He is considered to be one of the pioneers of yoga in the United States, practicing long before yoga became popular and mainstream. Jimmy began his yoga career under the guidance and wisdom of Bikram Choudhury and was honored when he became known as Bikram’s Most Senior Teacher, an accomplishment very few have since obtained. Jimmy’s first yoga studio opened in Fort Lauderdale, Florida in January 1983, making it one of the first Bikram Yoga schools in the world. Jimmy opened Yoga schools in Plantation, Florida in 2001 and Boca Raton Florida in 2012.